Those adages are true in your university philosophy class, and just as true when it comes to your media strategy. If you’re working too hard trying to keep up with every new tactic and technology and social network that bubbles up online … and wondering what the essential asset is in building an audience, then this episode of New Rainmaker is for you. Robert Bruce: There is nothing new under the sun. What was old, is new again. It’s all been said and done before … true in your university philosophy class, and just as true in your media strategy. If you’re working too hard trying to keep up with every new tactic and technology and social network that bubbles up online … this episode is for you. This is New Rainmaker, from rainmakerplatform.com. I am Robert Bruce and today Brian Clark makes the case for the one thing you need to relentlessly focus on in order to drive prospective customers to your business, no matter what Google, Twitter, or Facebook do (or don’t do) in the future. Brian Clark: What would you say about an SEO strategy that involved creating content a specific audience wanted … and then used social media to publicize that content in order to rank well in search engines? Well, if you’ve been paying attention over the last few years, you’d say … “That’s what SEO is, Brian”. Google is looking for “signals” that people like content before they’ll rank it prominently, and that starts with social media distribution. Like, duh … that’s why they launched Google+ in 2011. Okay, I’ll give you that one. But I’m talking about 2006. Back in those days, Facebook was still primarily in dorm rooms, and Twitter was considered ridiculous to the extent it was considered at all. It was before social media went mainstream, but we still had social media. Back then it was mainly about blogs, but “Web 2.0” was accelerating the coming culture of sharing with social media news and bookmarking sites. The two primary platforms at the time were the former versions of Digg and Delicious (which has now been ruined by Yahoo!). Digg in particular was a force to be reckoned with, sending tens of thousands of visitors in a massive stampede … if you made the home page. TechCrunch was literally built on the back of Digg, with its tech news focus and acerbic voice. Here’s how it worked. Members of the Digg community submitted content for general consideration. The content either got voted up (a “digg”) or down (a “bury”). Many websites (including Copyblogger) had “Digg” buttons on their pages, similar to what you now see with Twitter, Facebook, and the rest. Long story short, enough “diggs” and your content made the Digg home page, and the stampede began. But that wasn’t why many of us wanted to make the homepage. The real reason to make the homepage was links. Bloggers trolled the Digg homepage looking for interesting content to blog about or add to their link posts. And naturally-obtained links remain the signal Google loves most. We were using Digg as a content publicity engine. The content was high quality, that wasn’t the problem … the issue was that all things made equal, content with the most links wins Google. Today, the strategy remains the same … only more so. Content sharing brings you traffic via social media, which gives your content exposure that becomes the catalyst for search rankings that bring you targeted traffic over the long term. Links are still a big part of what Google is looking for, but that is evolving as the web itself evolves. But the thing that ties it all together, back in 2006, today, and into the future? It’s a personal media brand established by a digital media platform. When it comes down to it, this is what drives traffic over time, both from social media and from search engines. Robert Bruce: So we see that the overall strategies that actually work to develop valuable and targeted traffic don’t change much over time … even if the landscape changes radically. But what can this look like in the real world? A social object. Something remarkable that gets shared via social media. Think about it that way, and you’ll never create marginal content to simply fill up space on a web page again. Hugh’s thing is “cartoons on the back of business cards,” which became the basis of his blog back in 2001. But he also writes fantastic content with insights like the one I just shared with you. Now he makes a living selling his art, and he’s a bestselling author as well. Another example of the media-first strategy doing the job of marketing, except with much better results. But let’s get back to the “social object.” How does that work? Sharing cool content is a sign of status in social media. That could be the latest cat photo, or it could be the really useful industry information that no one else has seen yet. As Brian Solis smartly says in his book The End of Business as Usual, we are now trying to earn relevance among an audience with an audience of audiences. 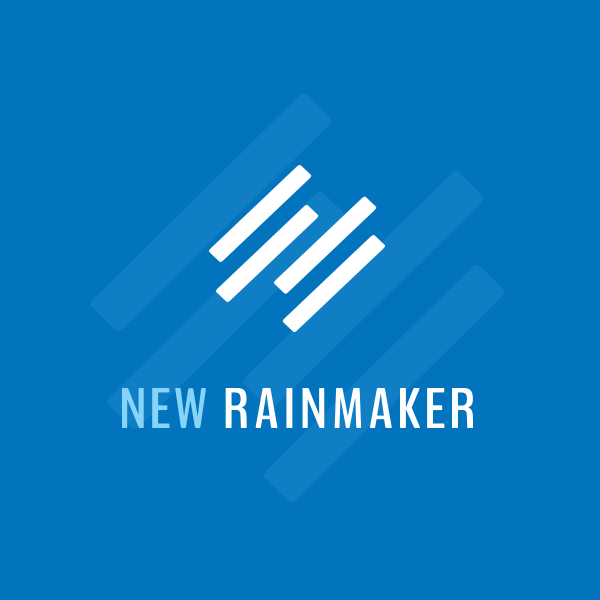 That requires a new strategy, and that’s what New Rainmaker is all about. But what an opportunity! The fact that engaging one person can lead to the engagement of their social media audience, and so on and so on … that’s the power behind the “media not marketing” approach. That’s what traditional marketing is supposed to do … but this is no time for tradition. 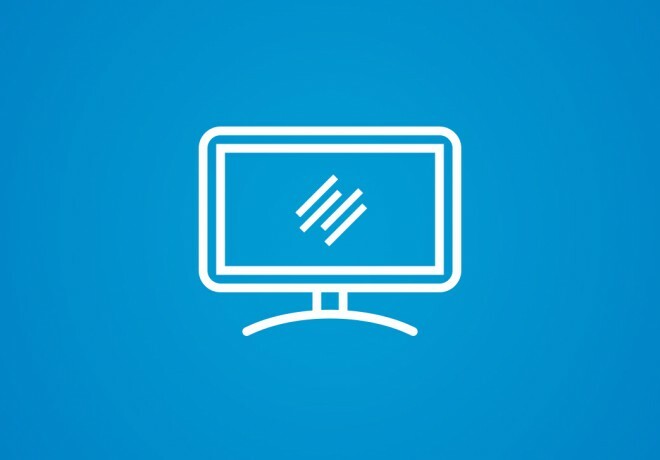 This audience is not only free to change the channel – they are the channel! When you look at it that way, people are not only doing you a favor when they share your content – you’re doing them a favor by giving them something great to curate. Just never take those favors for granted. The key is to consistently do that favor for people by consistently creating relevant, engaging content. When people find a source that gives them great content to share, they’ll return to you and share time and time again. Robert Bruce: Yep. Robert here … and it’s the truth. Brian Clark: A brand is a promise. A personal media brand is a promise of consistently great content from a certain person on a collection of related topics. It’s the digital demonstration of expertise, or authority. And a digital media brand is the platform that becomes known for its collection of personal media brands. These are the people who consistently deliver great content. It’s the collective authority of those people that make a site authoritative itself. Content is the root social object, but transference occurs to people and companies. 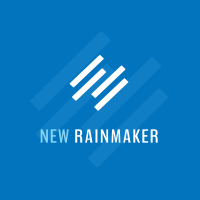 The new rainmaker makes this happen, just like Gary Vaynerchuck created simple video content that turned him into an Internet celebrity while increasing wine sales by $42 million. Makes sense, right? But what does that have to do with Google? Put succinctly, Google wants you as soon as you don’t need Google. The only way to attract the mean high school girl is to feign indifference and just go about being your bad self, and it’s the same with Google. That doesn’t mean that you’re not making all the right moves for Google to eventually love you and rank your content higher than the competition. In fact, a smart content-driven audience-building strategy sets the stage for high search rankings from the very beginning. Before we tackle that, let’s take a brief walk through the history of Google’s approach to search. As you’ll see, Google has tried to emulate offline authority as a way to best rank web pages from the very beginning – and that’s an approach that has continued to evolve in sophistication to this day. Brian Clark: In the beginning, Larry Page and Sergey Brin had an idea about search that was very different from the way search engines worked at the time – the idea was that some web pages were more important than others, based on something other than what was on the page. They decided that the thing that made a page more important was the number of links pointed at it. And Page and Brin saw that it was good. But … after not too long, webmasters figured out that you could buy, trade, and build links to any given web page pretty easily. And so Page Rank was gamed. Then Google took it a step further. They decided that some websites were more important than others. The age of the domain, the number of pages, and the number of links coming into the site (as a whole) made a site authoritative. And Google saw that it was good. In response, venture-capital-backed startups figured out that you can purchase aged domains and built massive sites that ranked for all sorts of long-tail searches. These were the dreaded content farms. And so site authority was gamed. Google struck back with updates named after adorable animals beginning with the letter P. Panda killed the content farms that strayed outside of a defined niche, while Penguin targeted unnatural links of all sorts. These two updates and others were then rolled into a complete overhaul called Hummingbird and made permanent, along with a shift toward natural language search. But the future of Google’s algorithmic goal of mimicking offline authority is not found in an update named for an adorable animal. No, it’s something called Authorship. Google Authorship links your content to your Google+ profile, establishing you as the creator of a particular piece of content and showing your photo beside it in the search engine results, among other benefits. It ties identity to content. What’s the bigger picture? Well, based on a patent filed more than a decade ago, it seems Google is moving toward something that’s being called Author Rank, where great content from a certain person on a collection of related topics is ranked higher than someone with less authority by the algorithm. Where have we heard that before? Oh yeah, in my definition of personal media brand a few minutes ago. Remember, Page and Brin’s idea from the very beginning was to emulate offline authority in the search results. Authorship and so-called Author Rank are the logical evolution of that goal, and as it evolves, it looks like this is what will get it right. 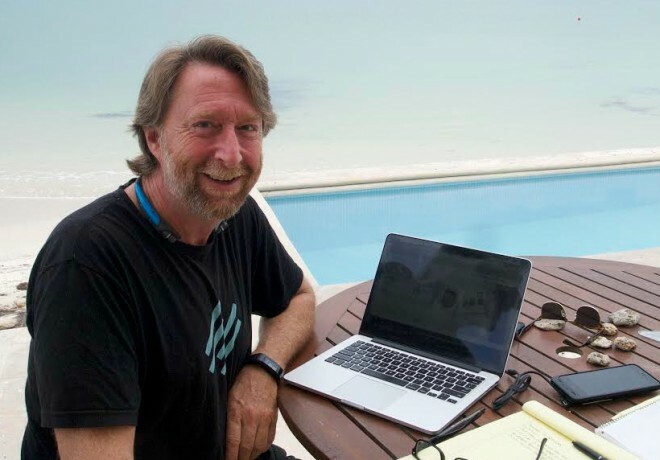 Robert Bruce: Are you seeing the importance — and more importantly, the future — of building a personal media brand here? From before the web existed, to the early days of search, to Google’s current focus on the authority of the individual content creator … it all comes down to you. So, let’s bring this home, how do you go about building a personal media brand, one that begins to earn the business every entrepreneur, artist, and/or small business owner wants? Do you need to buy a radio station? A printing press? A cable network? Brian Clark: Remember, a digital media platform is powered by one or more personal media brands. These are the people who have become important to an audience of audiences. Wait a minute (you may be thinking) … all this Authorship stuff is new. And Author Rank hasn’t been implemented yet as far as anyone knows. How do you know this will work with Google? Because those are exactly the steps I took to build Copyblogger, starting before social media went mainstream. And it’s the same steps I take when building any site today. It’s not that this is a new approach that just started working. It’s always worked when building an audience, because it’s a media approach. And it works whether Google ends up liking you or not. But like a mean high school girl, Google likes you because you became popular on your own, and you don’t need her. … and by the looks of the number of SEOs now calling themselves content marketers, I’d say the glitches are harder to find. Build your digital media brands first. And then Google asks you to the prom. Sweet. Robert Bruce: Thanks for listening to New Rainmaker. If you like what you’re hearing, please let us know by heading over to iTunes, and leaving a rating or a comment there. 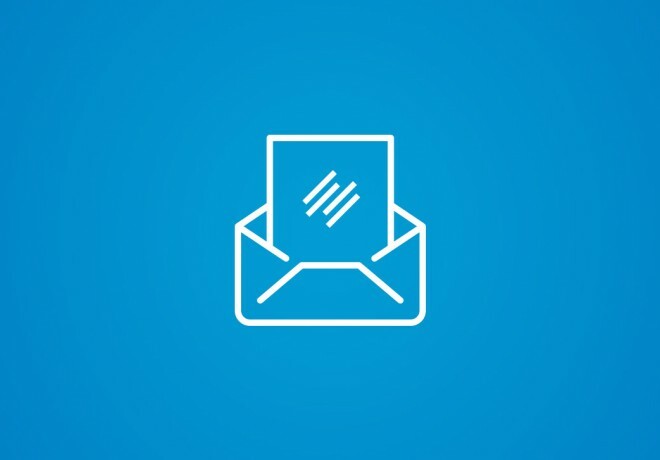 And, if you found this broadcast independently floating around somewhere else out there on the Internet, go ahead and sign up to get everything … free e-mail updates for future episodes, transcripts, videos, and upcoming live shows at rainmakerplatform.com. Brian Clark is founder and CEO of Copyblogger, and uncompromising evangelist for the Rainmaker Platform. Get more from Brian on Twitter.